In many European countries, saw palmetto is used as a standard medical treatment for enlarged prostate gland. Strong research evidence supports its use in treating benign prostatic hypertrophy (BPH) and the urinary difficulties that go with it. 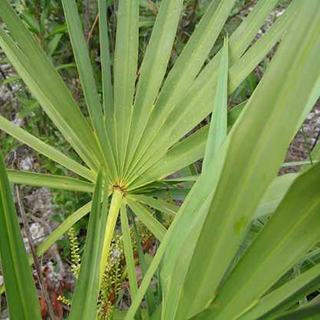 Propagation of saw palmettos is by seedage because the success rate when transplanting them from the wild is low, especially when larger plants are involved. Watch for berries to develop in the summer and ripen through the fall. Saw palmetto berries are cream with a rust-coloured tint. As they ripen, berries get softer and turn blue-black. When they have fully changed colour and feel soft, they're ready for picking.